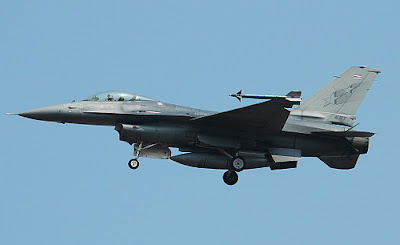 The Defence Ministry has earmarked Bt6.9 billion secret budget for the upgrade of six F16 AB fighter aircraft, including the installation of air navigation system and maintenance cost. Defence Minister Prawit Wongsuwan informed the government about the spending plan at the Tuesday's Cabinet meeting, government deputy spokesman Watchara Kannikar said. The budget will be spread over a three-year period, starting with the initial outlay of Bt1 billion for the current fiscal year. The price tag for aircraft navigation is estimated at Bt6.56 billion (205 million dollars) and the actual disbursement will hinge on the exchange rate fluctuation.